Sun dogs are bright spots to the left and/or right of the sun, which also my have a halo going around the sun. These sun dogs occur when light from the sun refracts off of ice crystals in the atmosphere. 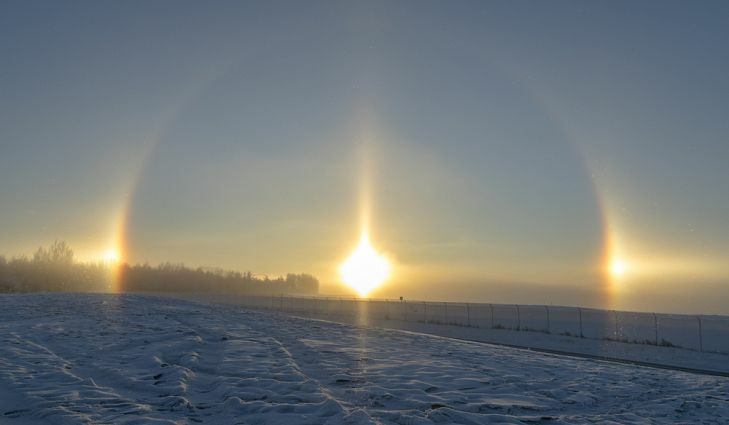 Sun dogs can be seen anywhere around the globe and during any time of the year, but primarily occur while the sun is near the horizon. 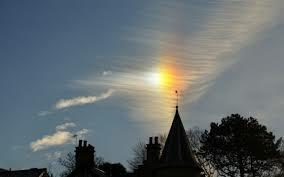 You will very likely see these when the sky high level clouds, known as cirrus clouds or cirrostratus.